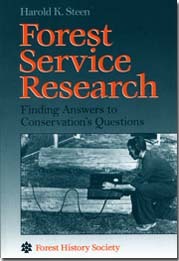 Traces the early years of U.S. Forest Service research efforts, how the program strove for independence, the expansion of research efforts, and how the research has related to the environment. Forest History Society, 1998. v + 102 pp. Ill., bibliography, index.